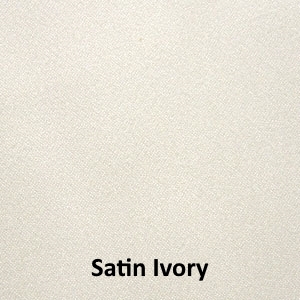 Traditionally, satin comes in two varieties. 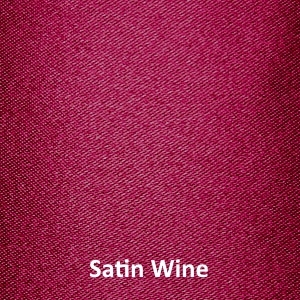 Most satin that you'll encounter in the bedding industry is made from polyester, and is a low grade fabric. We do not carry bedding in polyester satin, but rather the higher quality Acetate satin. 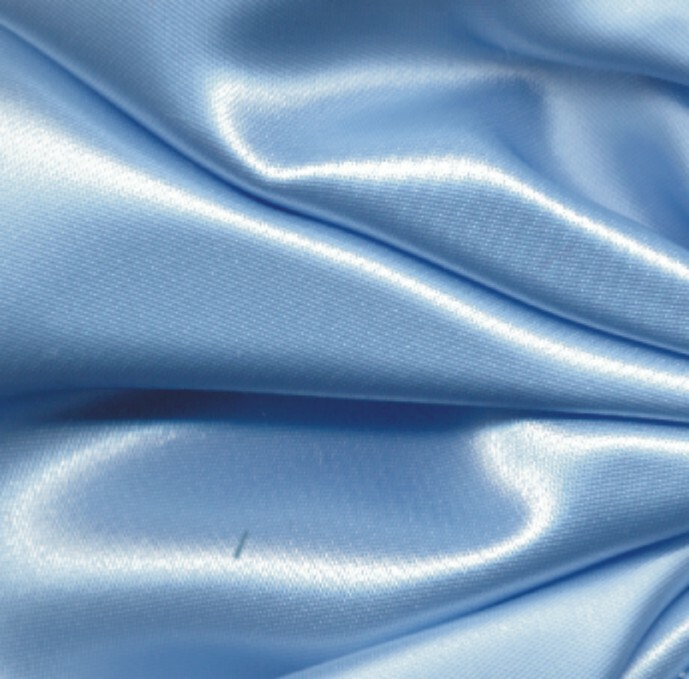 Specifically, our satin is "Bridal" satin, which is the grade used in making bridal gowns. It is composed of a nylon acetate, and is a heavier, thicker, more luxurious satin than the polyester. It has two definite sides to it. The correct or "top" side is frictionless and bears a strong luster. The reverse side is somewhat dull, and bears the grain of the fabric. This "Bridal" satin is only available to us in 45" wide bolts, and thus, all sheets made of "Bridal" satin must have a center seam. This center seam is reinforced, and generally does not cause a problem, but you should be aware that the sheets will come with it. 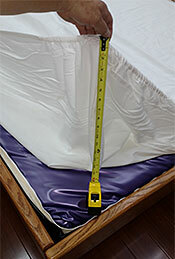 - Rough surfaces can abrade your satin sheets and cause them to wear more quickly. Sheet Sets with Free Stay-Tight Poles are made with deep pockets on the corners of the bottom sheet, with the top sheet attached at the foot. Stay Tight Poles help keep the bottom sheet tucked in. Six Pocket Sheet Sets are made with two separate sheets. The bottom sheet has four deep pockets on the corners, and the top sheet has two deep pockets on the corners. Deep Pockets with elastic in the corners need no stay tight poles. A generous amount of material for top and bottom sheets. Top & Bottom sheet is attached at the foot of the bed. No Stay Tight Poles needed! Stay-Tight Poles Top & Bottom sheets are attached at the foot & include 4 poles. Six-Corner Pocket Top sheet is separate and has two corner pockets. Deep-Pocket Deep Pockets with elastic in the corners need no stay tight poles. Top & Bottom sheet is attached at the foot of the bed. Special! $30 OFF When you add a comforter to your sheet set order. Use code: 3030 during checkout. Premium "Bridal" satin sheet set includes one top sheet, one fitted bottom sheet attached at the foot, matching pillowcases. One pillowcase with Super Single and two pillowcases with all other sizes. Premium "Bridal" satin sheet set includes one top sheet with two corner pockets, one separate fitted bottom sheet and one pillowcase with super single and two pillowcases with other sizes. Premium "Bridal" Satin Waterbed Sheet Set with Elastic Corners. One top sheet and fitted bottom sheet attached at the foot. One pillowcase with super single and 2 pillowcases with other sizes. These are premium 50% polyester, 50% cotton pillow protectors with a zipper closure. Snug fit design. Sizes: Standard 26" x 20" Queen 30" x 20" King 36" x 20"
Available in your choice of 2 styles. Improves the Efficiency of your Waterbed Heater. Sizes: Q - Queen 60" x 84" (Add $10.00) K - California King 72" x 84" (Add $20.00) SS- Super Single 48" x 84"